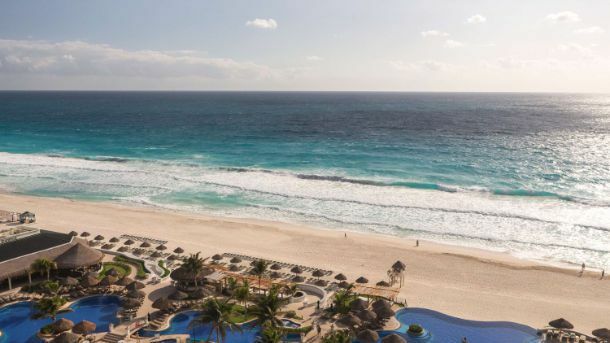 You may not think of this top spring break destination as being healthy—but recently, Cancún has been turning over a new leaf. Sure, they’ve still got the fabulous beaches, crazy nightlife, and low drinking age that make it a favorite among vacationers looking to relax. But there are also a growing number of options meant to reel in a more fit-seeking crowd. Looking to get a little sun, surf, and sweat? Let us be your guide. It’s Cancún; you want a hotel that’s on the shore. But if your goal is to enjoy an active vacation, you may also want to look for a property that boasts a killer gym. Look no further than the JW Marriott Cancún Resort & Spa. 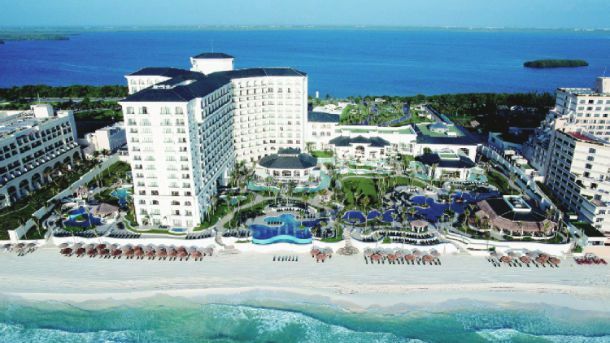 The hotel is literally steps from the white-sand beach, but just to make sure you get your swimming time in, it also has tons of pools, including a 14-foot outdoor dive pool with an artificial reef, an indoor spa pool, and a network of outdoor free-form pools. That’s all besides the full-service spa and tricked-out fitness center. A tip: Book the JW Wellness Beach Retreat, which includes an ocean-view room, a daily breakfast for two at one of the property’s restaurants, a daily fitness class, a beachfront cabana rental, and a Stress Victims Spa Cure treatment to help you unwind after your workout. You didn’t come to Cancún to stay inside a fitness center all day, no matter how nice it is. So also check out the adventure activities offered in and around the city. Sign up for a snorkeling or scuba diving tour with Aquaworld. 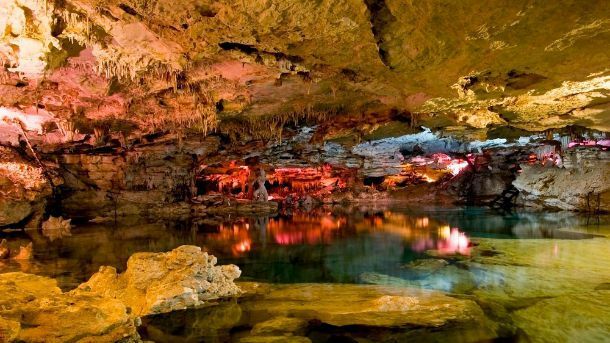 Depending on the tour you book, you’ll be able to explore Cancún’s underwater museum, scope out one of the city’s most famous reefs, or swim into insane cenotes (water-filled caverns filled with stunning rock formations). If you brought your running shoes, the ocean offers miles of glute-destroying beachfront running. Or head to Parque Kabah, an urban park in Cancún that features a 1.2-mile mostly flat loop that feels like it’s cutting through a jungle. You can also get your step count up by taking a day trip to any of the local attractions like the Tulum or Chichen Itza Ruins; ask your hotel’s concierge to hook you up with a local tour company. Another option: Rent bikes or sign up for a guided bike tour through a company like Elite Cyclery. Plenty of Mexican food is already pretty healthy, and Cancún offers tons of restaurants that cook with fitness in mind. Le Natura, for example, has a vegetarian menu, and even the classic menu is peppered with healthier options like whole-wheat tortillas. Or check out Leaf, a restaurant, organic market, and vintage bar. You can order up delicious veggie-based bites, buy some healthy products like organic coffee from the market, then stay for a drink at night. The spa at the JW Marriott Cancún Resort & Spa offers Mayan-inspired massages, facials, and treatments, like Ichtaca Mayan, but if you want to branch out, head over to the Gem Spa at the Grand Fiesta Americana Coral Beach Cancún. 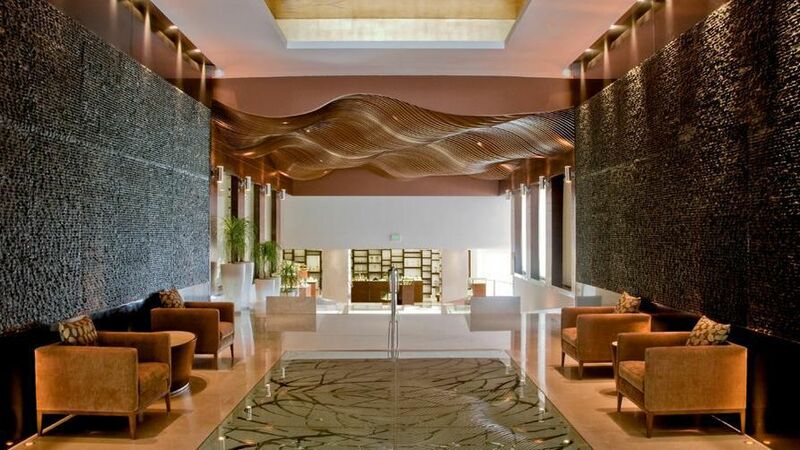 It provides every luxe service you can imagine: hydrotherapy, aromatherapy, gem therapy (! ), chromotherapy, Shiatsu and Thai massage, hydromassage, facials, beauty treatments, and more. Plus, the 40,000 square foot space comes equipped with steam rooms, rain showers, an ice room, and even a pebbled walkway to massage your feet.